What's really going on with the 2012 COAST/CPS litigation?, we are asked. As background, COAST sued CPS in 2001 (pro-levy signs in the school yard) and 2010 (the Votes-for-Ice cream Scandal) and in each case CPS agreed that it had violated the law and agreed not to do it again. In each case, they paid COAST's attorneys fees, and suffered some degree of public shame and humiliaiton for violating the law. You would think these two incidents would temper their behavior going forward. It clearly did not. Indeed, the only impact the prior litigation and agreements appears to have had on CPS was to drive the illegal conduct slightly underground, with some of the activities occurring with private email accounts rather than through their official CPS accounts. What we have learned is that the abuse of CPS property and personnel leading up to the 2012 election was pervasive, and was known by and directed by CPS management, including all the way up to Mary Ronan (Superintendent), Eve Bolton (School Board President) and other school board members. 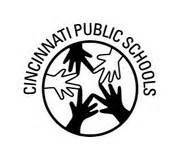 In 2012, two major events were going on vis-a-vis CPS and the Cincinnati Federation of Teachers: (i) the Presidential election and (ii) there was a CPS renewal levy on the ballot. All this appears to have been too tempting a set of electoral objectives to forgo the public dollars under their control. They identified CPS students older than 18 years of age, and targeted them for voter registration, turnout and propagandizing for the demo-labor causes. They systemically targeted and shook down CPS vendors, principals, teachers, and other personnel for campaign donations. Indeed, a review of pro-levy campaign finance reports shows that almost no one gave to CASE except vendors and CPS employees. They paid a teacher -- Tom Frank -- to take "release time" to work on a variety of demo-labor campaigns, including protesting at Romney appearances, cheering at Obama events, and organizing for the CPS levy campaign. They recruited volunteers for 46 "Days of Action" that were centered around each one of the CPS schools using sign-up sheets in the schools, the CPS e-mail system, and other CPS property. The targeted volunteers were principals, teachers, parents and students in each of the CPS schools. They used other school district resources for the campaign, including recruiting bands, cheerleaders, mascots and other resources from the schools for their campaign rallies. These activities are detailed if you click here, for the "E-mails of the Day." COAST has tried to make these as humorous as possible, to mock the blatant abuse of tax dollars by our public officials, but, in the end, it is serious business. These actions constitute theft in office, campaign finance violations, violations of two separate Ohio criminal statutes, and and violations of the COAST agreement. But worse, they show a breach of trust by CPS management and personnel over the children and resources entrusted to them, and a lack of critical thinking from top to bottom at CPS. COAST intends to turn this behavior on CPS to once and for all stop this illegal conduct. We have a trial in September, and will keep our faithful readers informed as this date progresses. We fully expect an important victory from this litigation.